What’s left to make your wedding day perfectly sublime? The perfect accessories, of course. At Perfect Weddings, we have a fantastic selection of shoes, veils, jewelry, and undergarments – everything to put the finishing touches on your special day. Our stunning shoes come from top designer lines like: Coloriffics , Touch Ups, Dyeables, Helen’s Heart , and Your Party Shoes. We also have a great selection of vintage inspired shoes! Stop in and see these great styles! 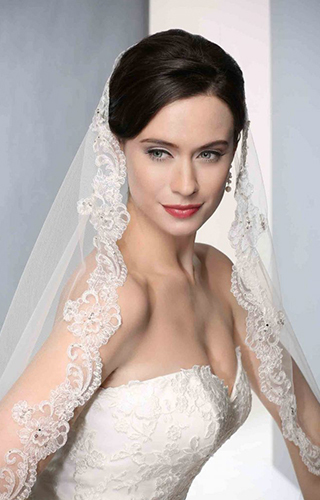 Don’t forget to add just the right sparkle to your look with jewelry ,tiaras, headpieces and veils! Some of our stunning pieces of sparkle come from top designer lines like these: Bel Aire Bridal, Marionat-The Bridal Veil Company, and Sassy South. We of course have more unique and beautiful pieces to make you shine! Come in and check out our great jewelry selection! Don’t forget your Spanx! No worries; we’ve got you covered! Some of the great undergarments we carry: Spanx, Squeem, and our great collection of longline bras! Worried about where to put everything? We now carry Girly Go Garters!